County and district clerk, W. E.
2, Joseph McFarland; Precinct No. 3, M. B. Bynam; Precinct No. 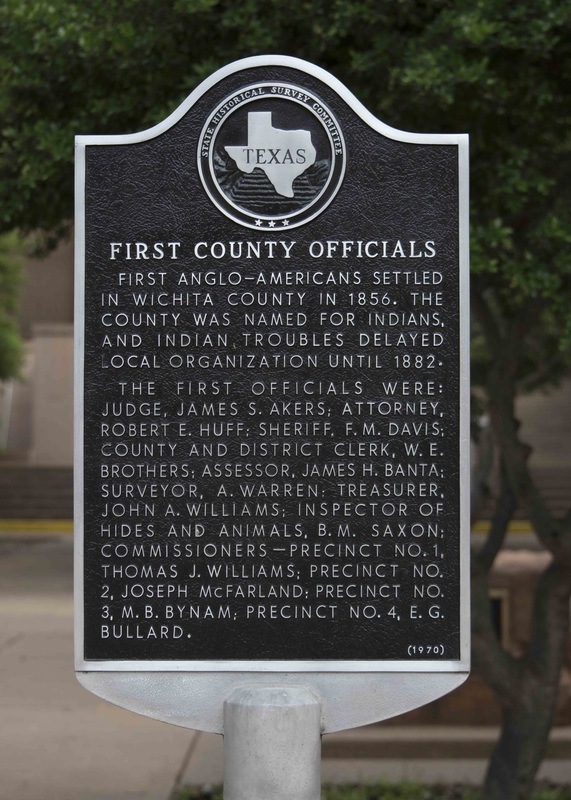 4, E. G.
This free-standing marker is located in front of the Wichita County Courthouse, 900 Seventh Street, Wichita Falls, Texas 76301. It is mounted on one post along with the markers for James V Alred and Joseph Barwise. GPS coordinates: 33-degrees, 54' 14.1" -98-degrees 29' 40.3"